Order within the next... 23 hours, 14 minutes, 5 seconds ...for dispatch tomorrow! Perfect on a 23 inch (60 cm) board. 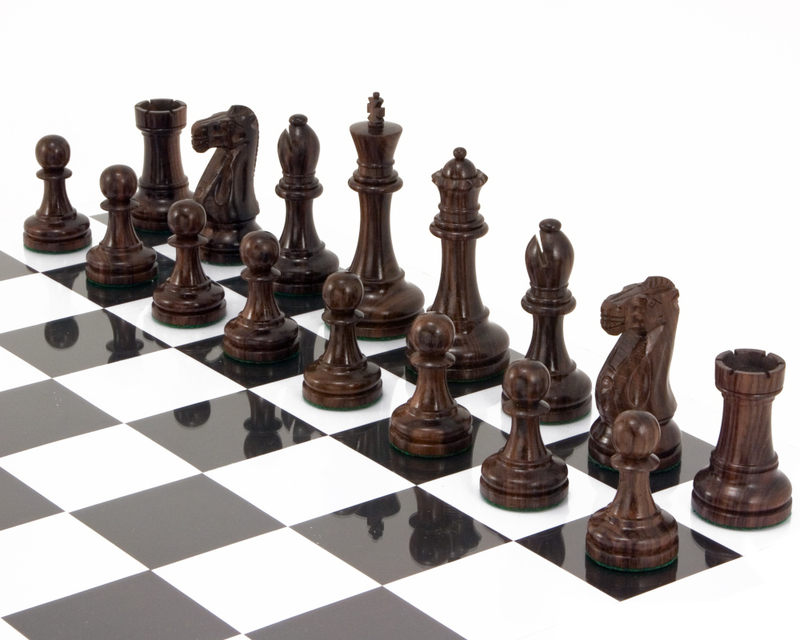 Beautiful Rosewood is used to create this set of Broadbase Staunton Chess Pieces, with its natural grains making each set completely unique. 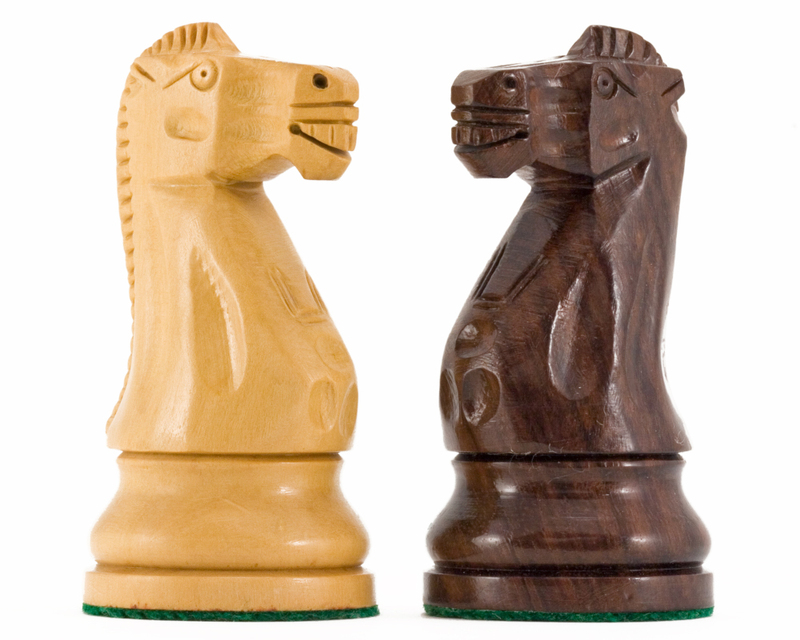 The wood used for these chess pieces is so precious that only the senior craftsmen are entrusted to work with it. 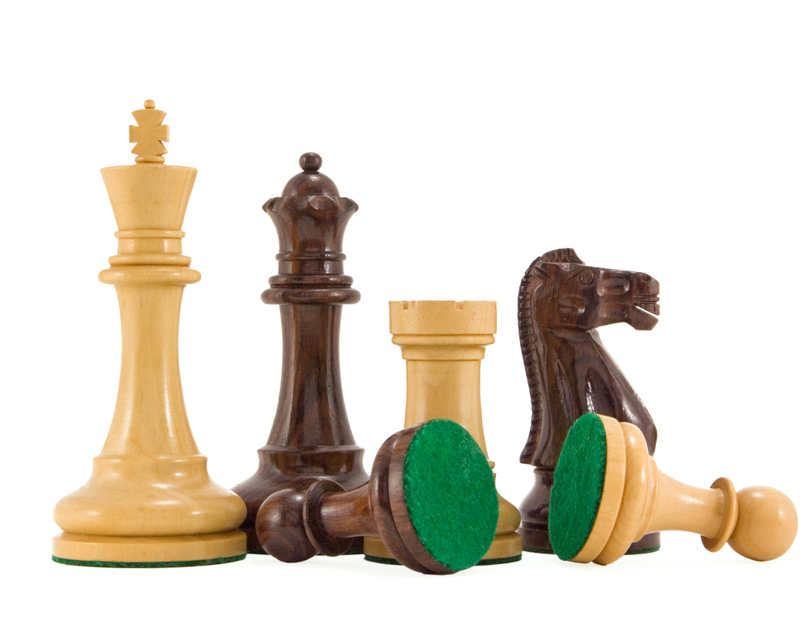 This fact alone means that the end result is a set of rosewood chess pieces of exceptional quality. 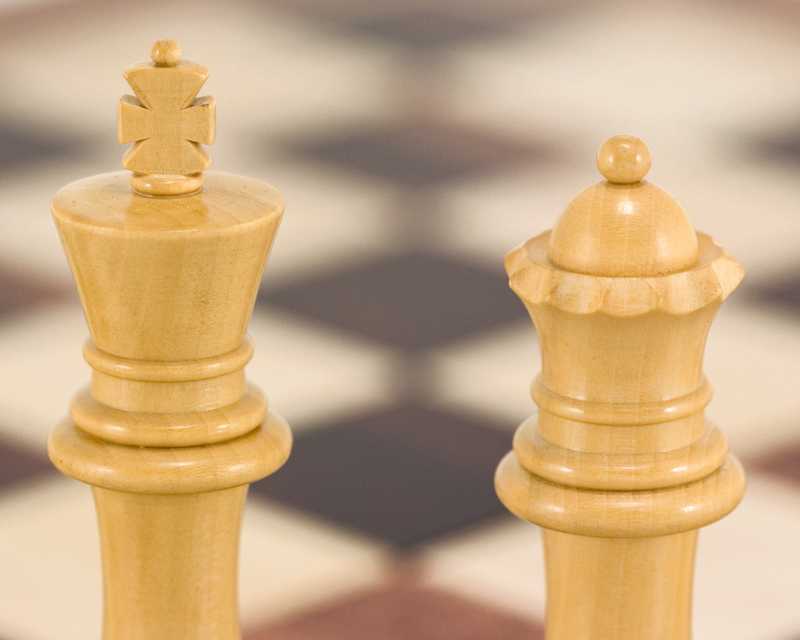 It really does represent everything that is beautiful about the classic Staunton design that has dominated chess for more than 100 years. The broad base of this set gives it superb balance and a lovely feel. 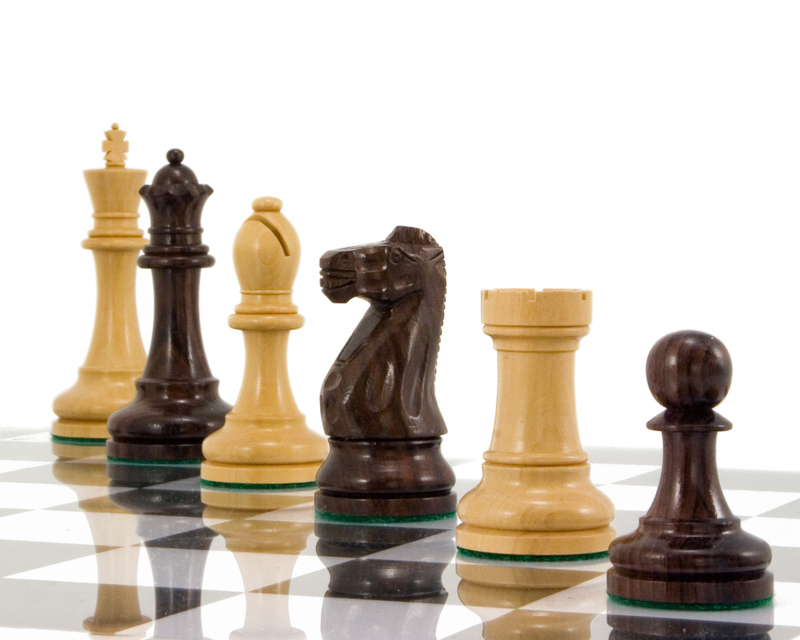 The double weighting means that these pieces are firmly anchored on the chess board, yet ready to glide seamlessly on to your next move. 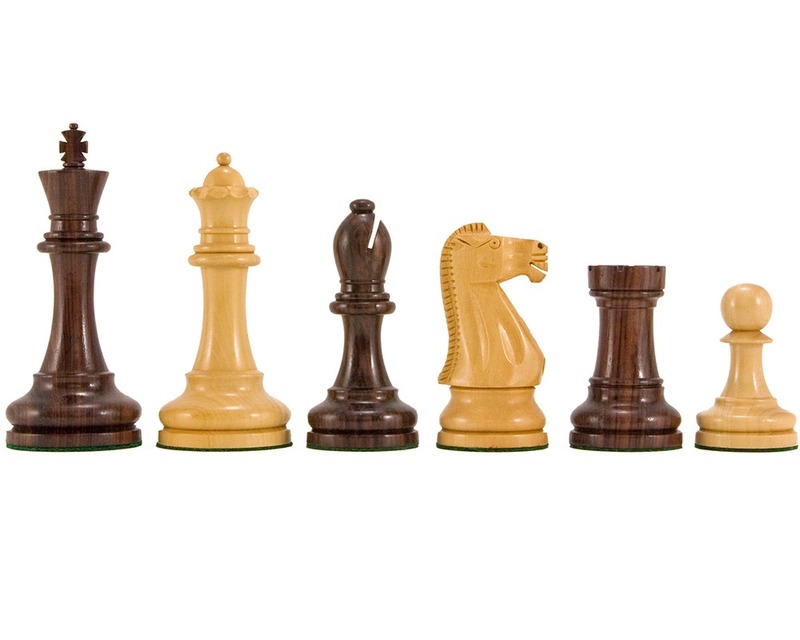 This fine set of chess pieces will become a family heirloom and a sure investment for future generations, particularly as the price of fine hardwoods like rosewood continues to soar. 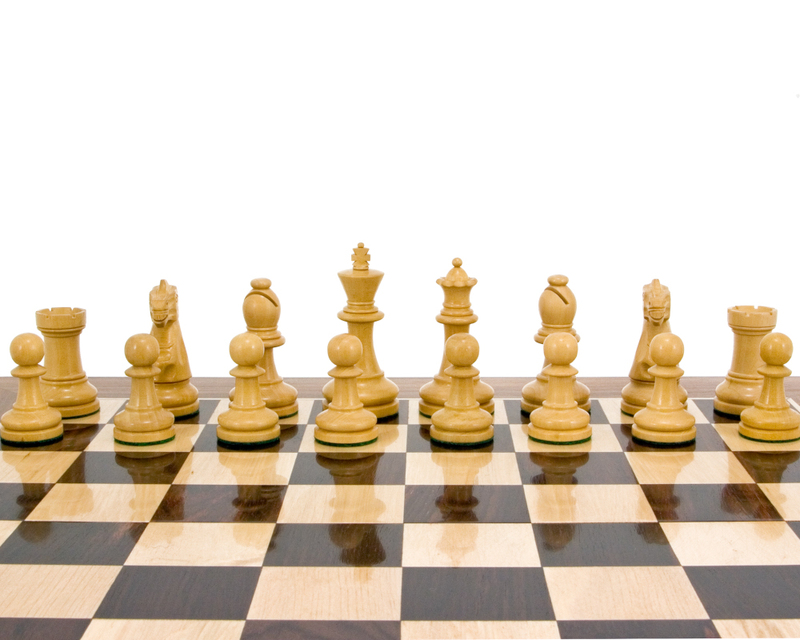 The best fit for these luxury chess pieces is a chess board of 23 inches (60 mm).